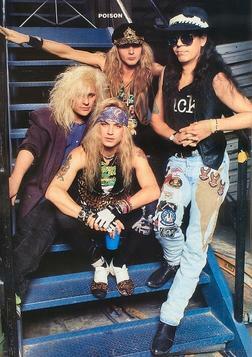 Poison is a glam metal band from Los Angeles. Formed by drummer Rikki Rockett and singer Bret Michaels. they started out in Pennsylvania in the early 80s. Their first band together was called the Spectres. 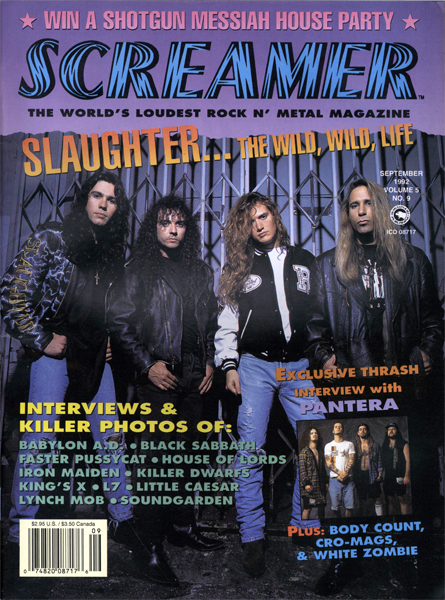 Issue: December 1992. Featuring: Extreme. 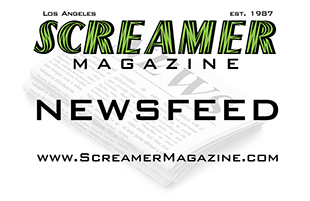 Also Included Bonham, Great White, Kik Tracee, Ministry, Spread Eagle, Trixter, Trouble, Helmet, Unleashed, Malevolent Creation and Much More. 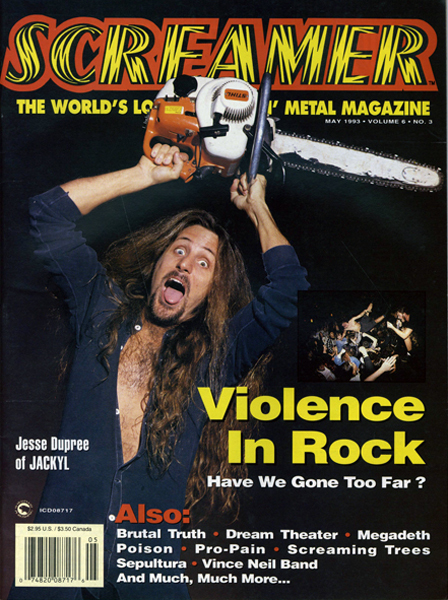 Issue: October 1992. Featuring: Kiss. Also Included Damn Yankees, Faith No More, Hardline, Joe Satriani, Motorhead, Rhino Bucket, Rollins Band, Saigon Kick, Steelheart, TNT, Suicidal Tendencies, Napalm Death, Scorn and Much More. 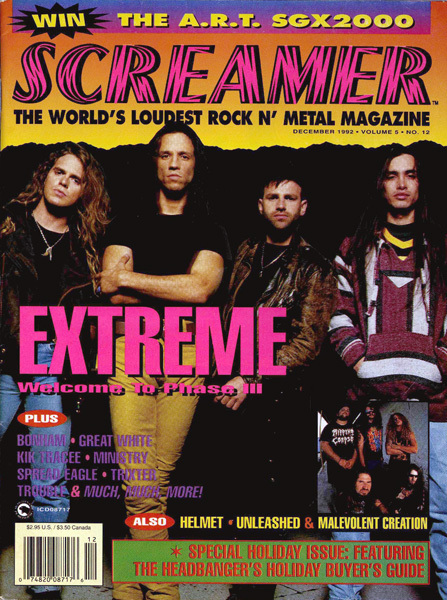 Issue: January 1994. Featuring: Pearl Jam, Aerosmith, Metallica, Guns N' Roses and Stone Temple Pilots. Also Included VAI, Fight, WASP, Cathedral, Blue Murder, Deep Purple, Brother Cane and Much More. Issue: November 1993. 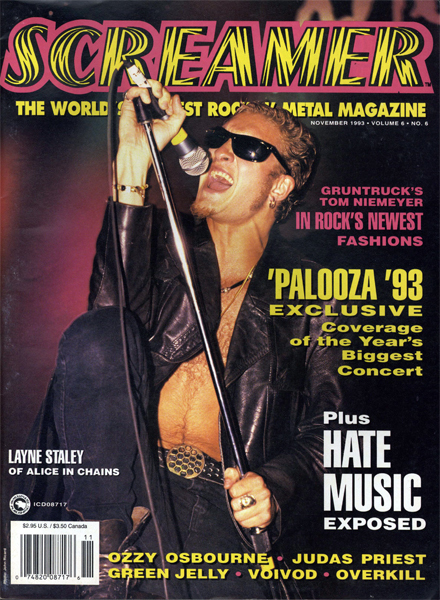 Featuring: Layne Staley of Alice in Chains. 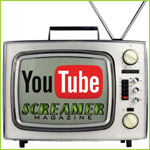 Also Included Ozzy Osbourne, Judas Priest, Green Jelly, VoiVod, Overkill, BulletBoys, Disincarnate, 311 and Much More. Issue: May 1993. Featuring: Jackyl. Also Included Brutal Truth, Dream Theater, Megadeath, Poison, Pro-Pain, Screaming Trees, Sepultura, Vince Neil Band and Much More. 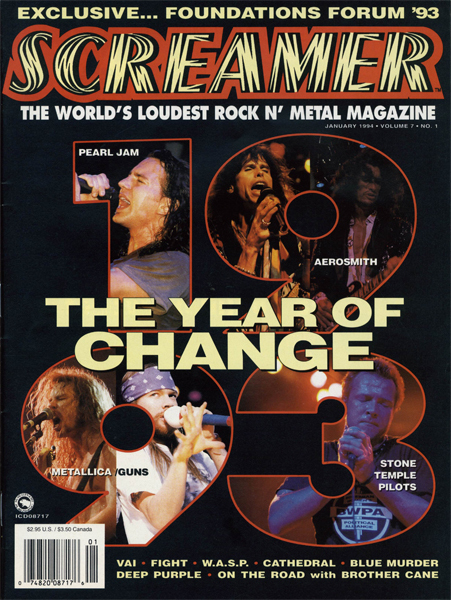 Issue: January 1993. Featuring: Pearl Jam, White Zombie and Slaughter. Also Included 24-7 Spyz, Blind Melon, Every Mother's Nightmare, Heavy Bones, Skid Row, Warrior Soul, Cathedral, Flotsam and Jetsam, Solitude Aeturnus, Babylon AD and Much More. 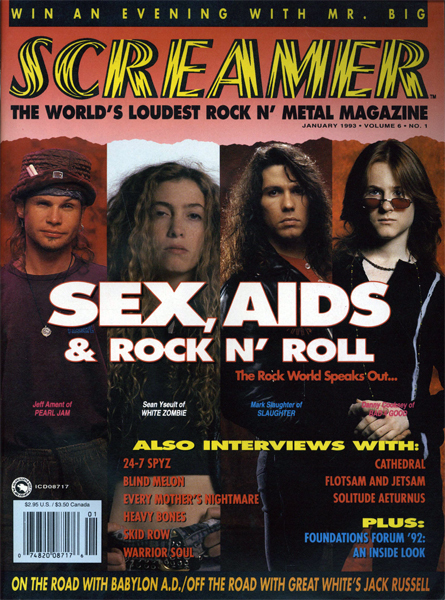 Issue: September 1992. Featuring: Slaughter. Also Included Babylon AD, Black Sabbath, Faster Pussycat, House of Lords, Iron Maiden, Killer Dwarfs, King's X, L7, Little Caesar, Lynch Mob, Soundgarden, Pantera, Body Count, Cro-Mags, White Zombie and Much More. 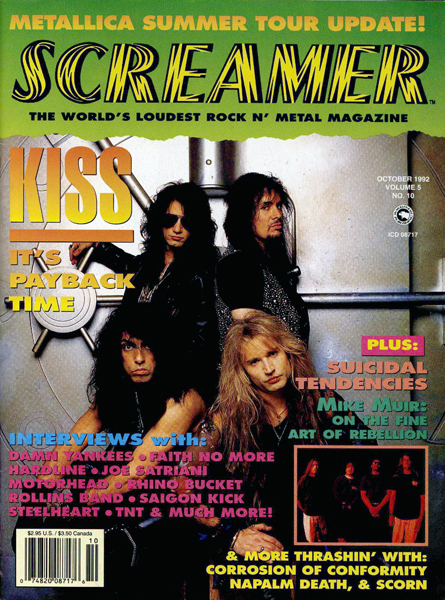 Issue: March 1992. 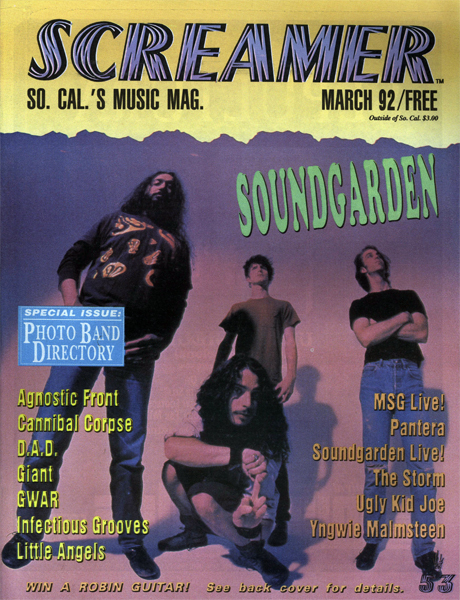 Featuring: Soundgarden. Also Included Agnostic Front, Cannibal Corpse, DAD, Giant, GWAR, Infectious Grooves, Little Angles, Ugly Kid Joe, Yngwie Malmasteen, The Storm, Monkey Paw, Pantera and Much More. 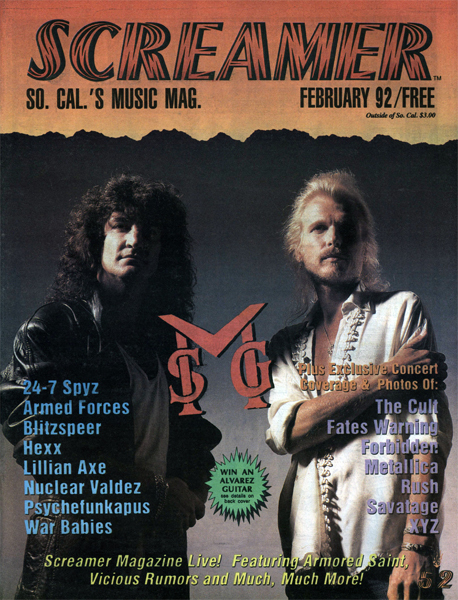 Issue: February 1992. Featuring: MSG. Also Included 24-7 Spyz, Armed Forces, Blitzspeer, Hexx, Lillian Axe, Nuclear Valdez, Pyschefunkapus, War Babies and Much More. 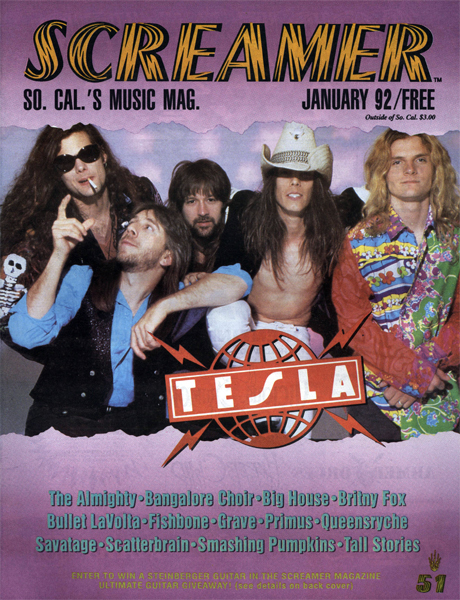 Issue: January 1992. Featuring: Tesla. Also Included The Almighty, Bangalore Choir, Big House, Britny Fox, Bullet LaVolta, Fishbone, Grave, Primus, Queensryche, Savatage, Scatterbrain, Smashing Pumpkins, Tall Stories and Much More. Photos – POISON Live! – FivePoint Amphitheatre CLICK HERE to read a review of the show. ENUFF Z’NUFF – Like a Sumo Wrestler and a Cupcake!